Collins Booksellers - Another Twinkle in the Eye by Elaine Hanzak, 9781315342825. Buy this book online. 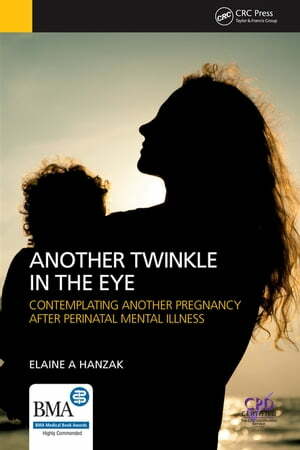 Another Twinkle in the Eyeis an essential guide for anyone contemplating another pregnancy after perinatal mental illness. The decision to bring a child into the world is rarely one that is taken lightly. When a previous pregnancy and early parenthood has resulted in poor maternal and/or paternal perinatal mental health, making a conscious decision to have another baby can be even more challenging. This unique book provides facts, resources, and discussion points to support people in making informed and comfortable decisions. It is also an essential resource for health professionals who support or are involved in the decision-making process of couples planning another pregnancy. The author combines personal experience with real-life stories from other parents. Also included are contributions from healthcare professionals. The book offers comprehensive coverage across five key areas: Reflection on the previous pregnancy, miscarriage or stillbirth, Decisions to be made when considering another pregnancy, Ways to plan for and to have a healthier experience, The role of healthcare professionals and facilities, and Self-help and complementary techniques for good mental health in the perinatal period.